Todd Falcone . . . Dedicated Over 25 Years of His Life to Network Marketing! Over the past 12 years Falcone has hosted, “Todd Falcone’s Monday Night Training” a weekly call dedicated to individuals wanting to learn more about the industry or grow their existing business. With the philosophy of giving back, he speaks on various industry-related topics and shares the success tactics that have allowed him to attain his financial goals, retire as a network marketing distributor, and build his successful and ever-growing seminar company. 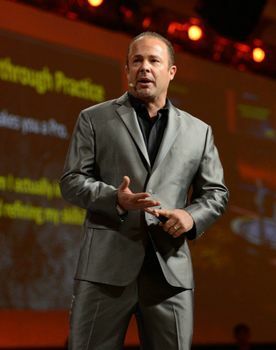 Falcone often consults network marketing company owners, trains top-level distributors, coaches individual home-based business owners, and speaks at corporate training events all over the world. His passion shows in his mission to help build leaders allowing them the freedom this industry truly has to offer. The motto of giving "100%" is not only how Falcone lives but also how he trains, presents, and engages with others. He is one who talks the talk and walks the walk!